Today’s ‪throwback Thursday pic is from my first black belt test with Amir’s Academy of Martial Arts way back in 2009. One handed knuckle push-ups on cement is just a small snapshot of what the two-day test was like. Over those two days I learned that mental toughness is the key to physical achievement. In case you were wondering, I’m the less muscular one on the far left. 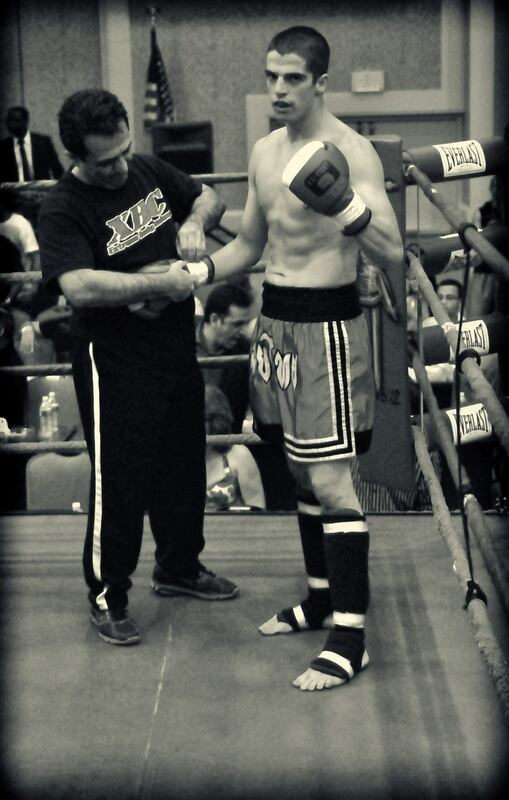 This may be my favorite picture from my short stint as an amateur kickboxer. The picture was taken before the decision was read for my sixth and final fight. My trainer Amir Ardebily, the man largely responsible for getting me addicted to fitness, is taking my gloves off for the last time. I was honored to have Master Amir in my corner for all my fights and even though my kickboxing “career” was short lived, what I learned from competing in that arena will stay with me for the rest of my life.